You can see the available dates for Aqua Dream Waterpark Marmaris. Please use the booking widget to make your reservation. 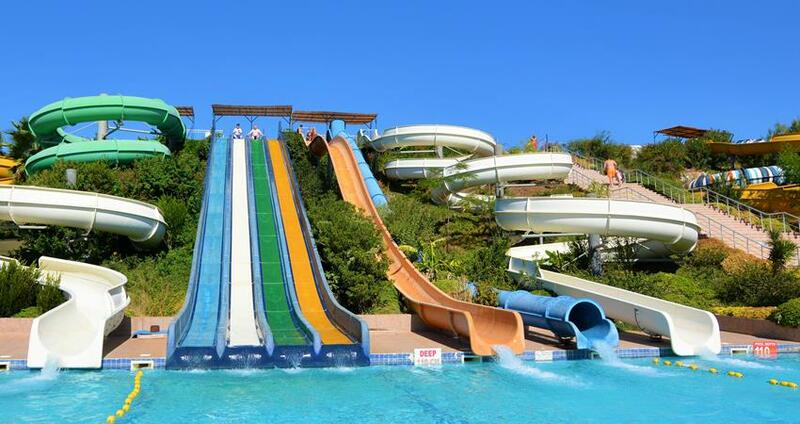 Established in 2006, the Aqua Dream Water Park is the largest and the most exciting water park in and around Marmaris. The water park is located on a hill top providing you some of the stunning views of nature & the town you’ll love for ever. This large park has 9 different slides of varying intensities and offers a perfect place for enjoying with your friends, family and kids. Spread over 44.000 square meters, Aqua Dream Water Park Marmaris is a cool place one must visit to beat the heat of hot summers in Turkey. The park is open for all age groups and has 9 different slides for your group, family and kids to enjoy. The kids will love this place the most. 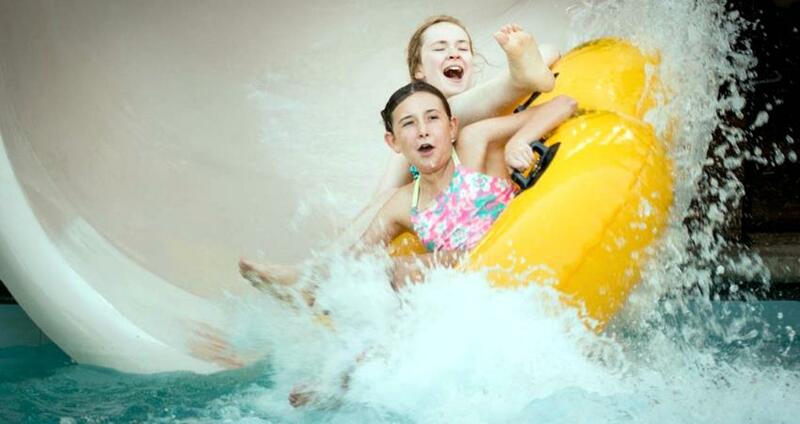 The Wild Rafting Slide, Free Fall, Aqua Tower, Multi Slide, Black Hole, Kamikaze, Wave Pool, Kids Pool and the Swimming Pools at the park will keep you excited all through the day. Aqua Dream Water Park is well-equipped to please your requirements. We provide all the safety gears to let you safely enjoy the water rides and at pools in the park. The Life Guards in the water park ensure your safety and are always ready to help you. 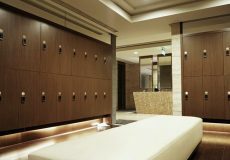 The park has private changing rooms to dress for the occasion, lockers and safety deposit boxes to safeguard your valuables. You can make use of the hygienic shower rooms and toilets available at the park. The restaurant and the cafeteria at the park offer you the tastiest snacks and food you’d ever get around this place. The park also has two bars within its periphery. The sun beds and umbrellas are available for those looking to rest by the pool side. We are sure that you’ll love every moment of your stay at the Aqua Dream Water Park Marmaris and remember the exciting fun and excitement for long after you have gone back to your country. 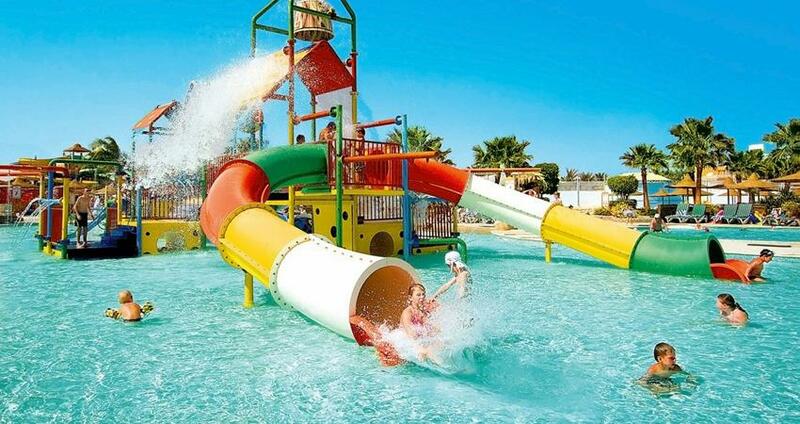 Full Insurance, Hotel Transfer, Entrance Fee to Aqua Dream Waterpark, Lockers, Showers, Sunbeds & Umbrellas. All Drink and Food Options, Safe Boxes, Personal Expenditures. Any Food or drinks from outside will not be allowed into Aqua Dream Waterpark. Be aware of the slippery and wet surfaces in the waterpark. All jewellery, watches, eyeglasses, sunglasses must be removed before sliding. Categories For " Aqua Dream Water Park Marmaris "
Such an amazing day with my family at Marmaris Aqua Dream Water Park. We will definitly come back. How big is the Aqua Dream Water Park? Aqua Dream Waterpark is built on an area of ​​44 thousand square meters. 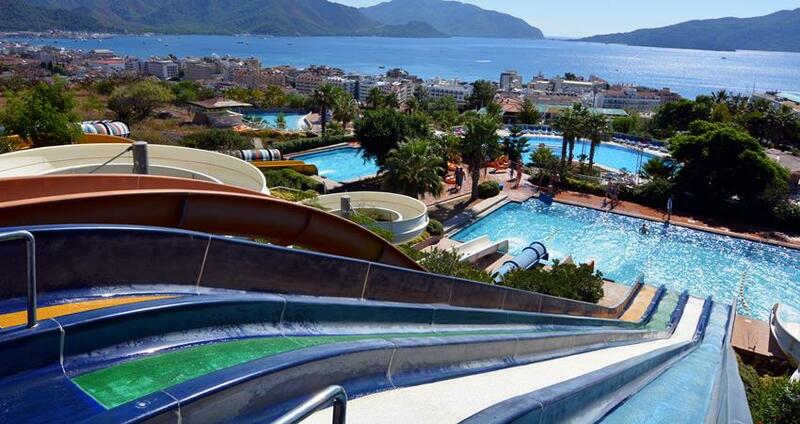 It is the biggest and perhaps the best waterpark in Marmaris area. Because of the policy of Aqua Dream Waterpark, guests are not allowed to bring any food or drinks from outside. 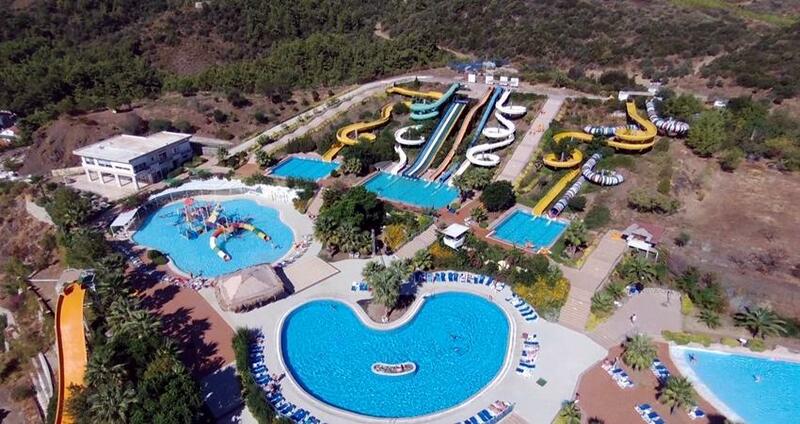 When is Aqua Dream Marmaris Water Park open? Pleace check the calender or the booking widget to see the open time and dates. Aqua Dream Water Park Marmaris is an exciting holiday spot to visit and play around along with your friends, family and kids. The park is open from 10:00 am to 6:00 pm and has 5 sessions a day. You can plan to visit the park at your convenience during any of these sessions. 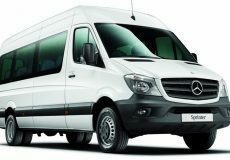 We arrange comfortable hotel transfers from your place of stay to the park as per the time you choose. 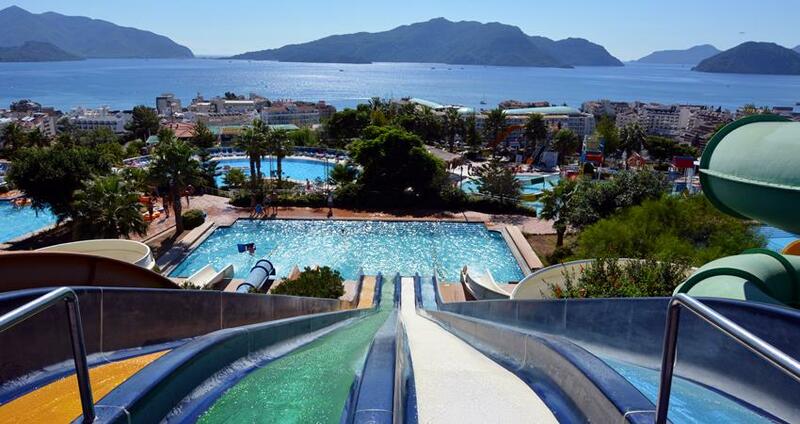 Aqua Dream Water Park is the largest water park in and around Marmaris. 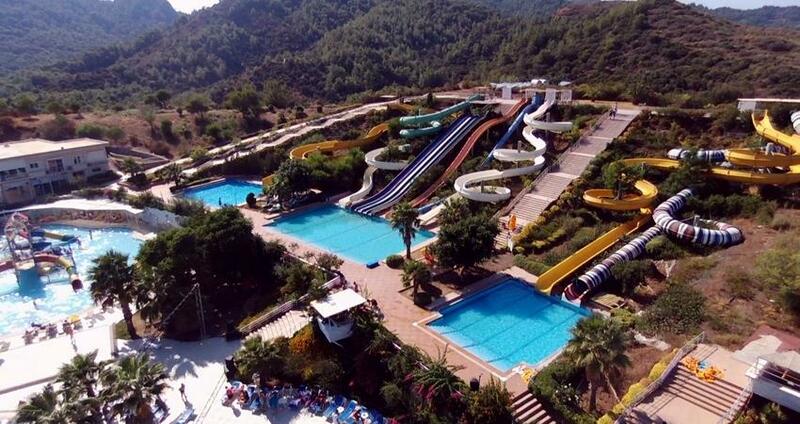 Located on a hill top, the park has a set of exciting water slides, 9 in total. One can also enjoy some stunning views of the town from here. The 9 different slides provide you with different levels of intensities and excitement. We arrange for all the necessary safety measures while you play in the park. Enjoy your day to the full while you are in the park. 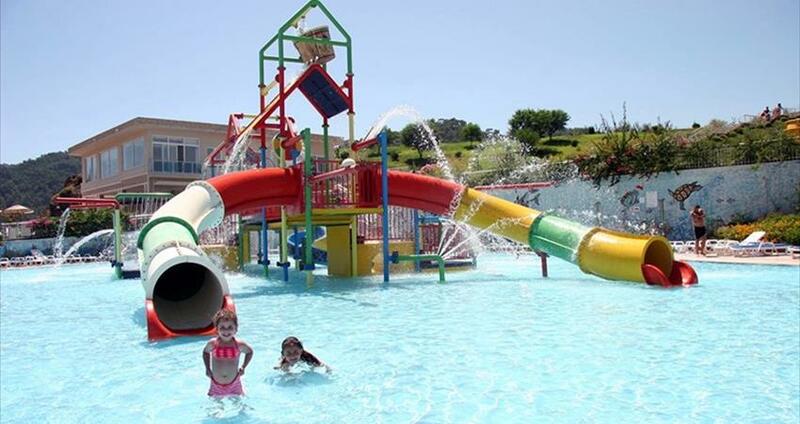 The Aqua Dream Water Park is well-equipped with the necessary amenities for our guests visiting the park These include showers, changing cabins, lockers, safety deposit boxes, toilets, restaurant, bars and a cafeteria. You can change your dress to play in the waters privately and deposit your valuables in the lockers and safety deposit boxes. After playing around, one can refresh in the restaurant, cafeteria or at the bars. It is one of the biggest funs in the water park; the wave pool starts at 14:00 pm late afternoon. The simulated waves in the pool give you a feeling as if you are playing out in the ocean. Waters in the pools and the slides are regularly cleaned and bleached to ensure a hygienic environment. Foam party starts at 15:00 pm in the water park. You can play and dance around with your friends and family in the foam party. There is so much fun and entertainment that you’ll never feel alone in the park. The return transfers start from 15:00 pm and is repeated every half an hour. The shuttle buses are arranged to take you back to your hotel free of charge. 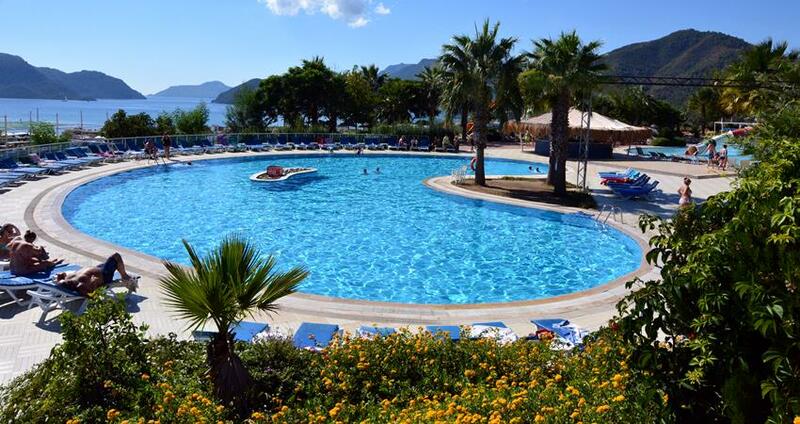 Some of the important facts and useful information about " Aqua Dream Water Park Marmaris "